In the process of using 90kvdc high voltage cable, some matters should be noted. Many people do not pay attention to the joint environment location and dust situation of 90kvdc high voltage cable.In fact, moisture and small impurities are very harmful for the long-term operation of high-voltage cables. Therefore, it is necessary to pay attention to environmental humidity and dust during connection and clean up the environment before construction. The 90kvdc high voltage cable connector should be adjusted for the heating of the cable. Sometimes operators think the cable is not bent.This view is not true.There are two reasons for the heating adjustment of 90kvdc high voltage cable. One is to eliminate the mechanical stress caused by the internal distortion of 90kvdc high voltage cable. Therefore, before the cable connection of 90kvdc high voltage cable, the heating of the cable must be adjusted. 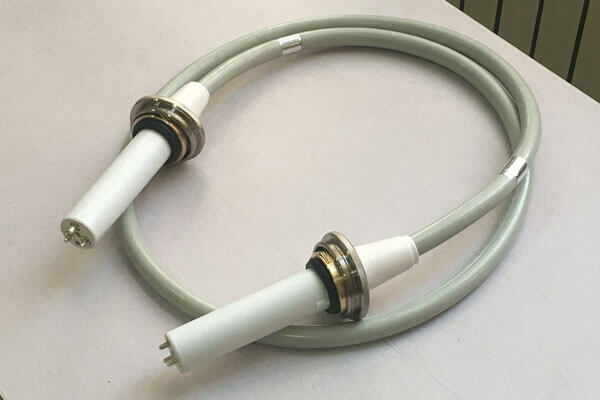 Secondly, the insulating shielding terminal treatment of 90kvdc high voltage cable is the most important step in the work of 90kvdc high voltage cable connector, which has the highest technical and technological requirements. Newheek 90kvdc high voltage cable is 75KV and 90KV respectively, and it can also be customized for you.